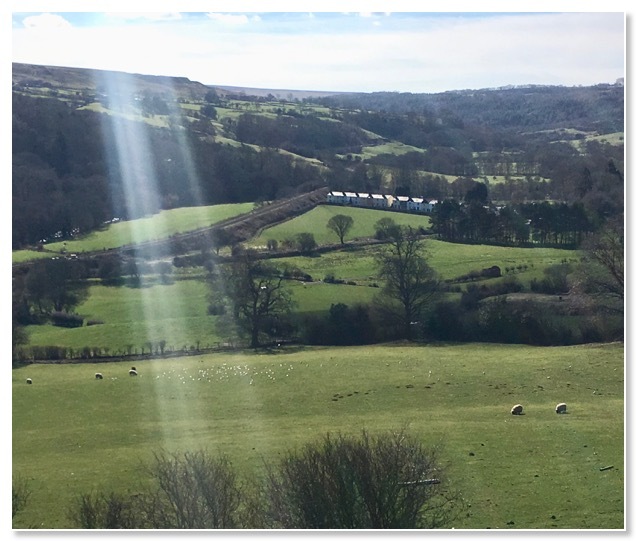 We are enjoying some lovely spring days here in Grosmont. The cockles of our hearts (do they show up on CT scans?) 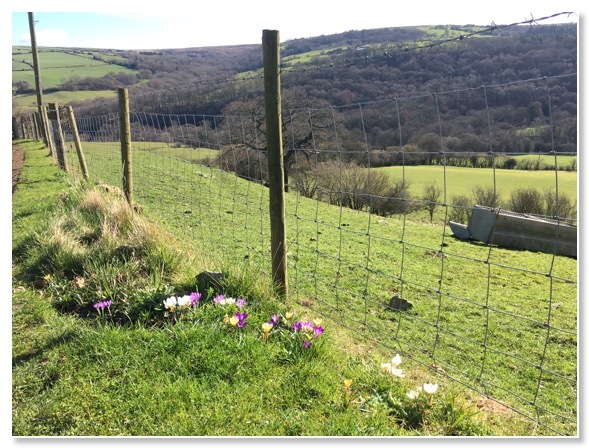 were well and truly warmed by the sight of these crocuses nodding their heads on the hill above us. 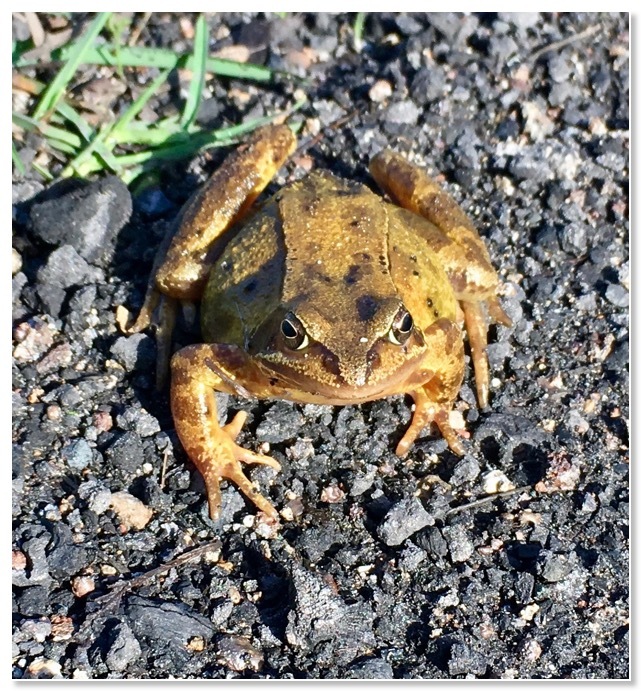 We spotted this fellow also enjoying the spring sunshine on our walk. We had a busy half term despite much confusion caused by different counties deciding on different weeks for the schools to close. 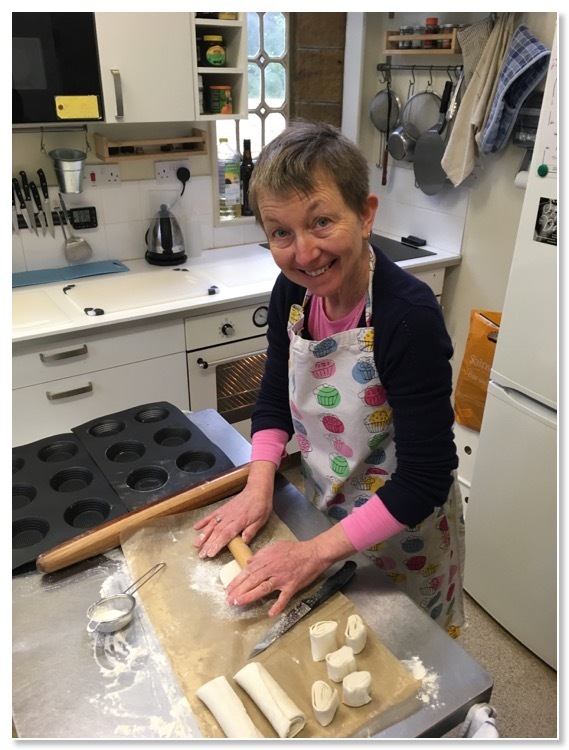 Emily enjoyed getting back into baking after our break. Here she is making the very popular 'pastel de nata' (aka Portuguese custard tarts). We were pleased to see lots of our regulars returning as well as some new faces. We are now getting ready for the end of the month when we will be open during the visit of the locomotive 'Royal Scot' to the railway. 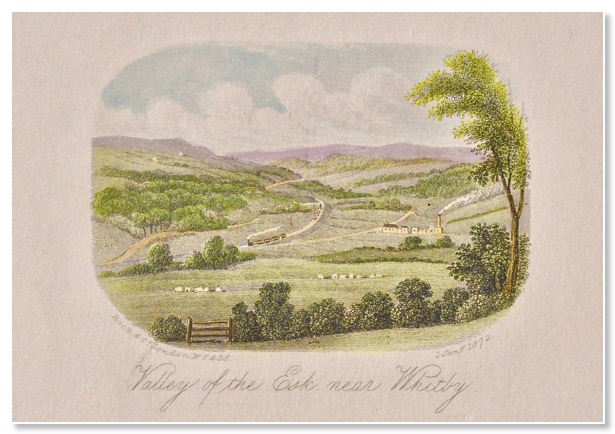 We have had some postcards made of this lovely view of the Esk Valley engraved in 1872. It lies just beyond Grosmont and we see the same view as we walk across Lease Rigg after work. There have been some changes in the last 140 years but it is still recognisable as the same place.